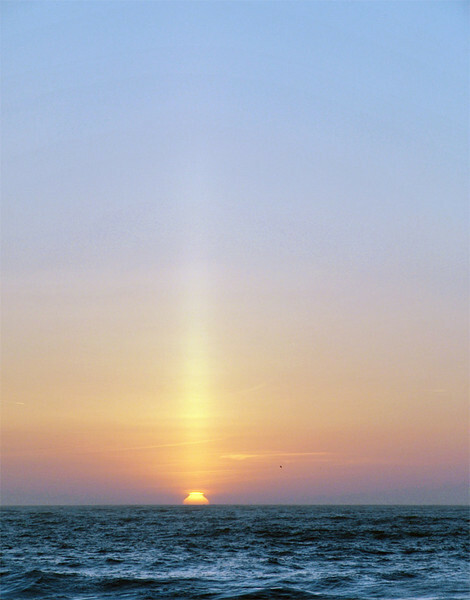 A sun pillar, caused by ice crystals in the air. It was chilly at the beach, I had to grab my windbreaker jacket to be comfortable. This pillar lasted after the sunset. When we got home it was a pink beam of light in the darkening sky.